As we enter the new year, companies are eager to find the best candidates available as they hire for their needs for Q1 and beyond. Those prospective employees find themselves entering a candidate-driven market. With more open positions across all industries than candidates to fill them, labor shortages have shifted hiring trends in the favor of the candidate forcing employers to rethink their approach to hiring. 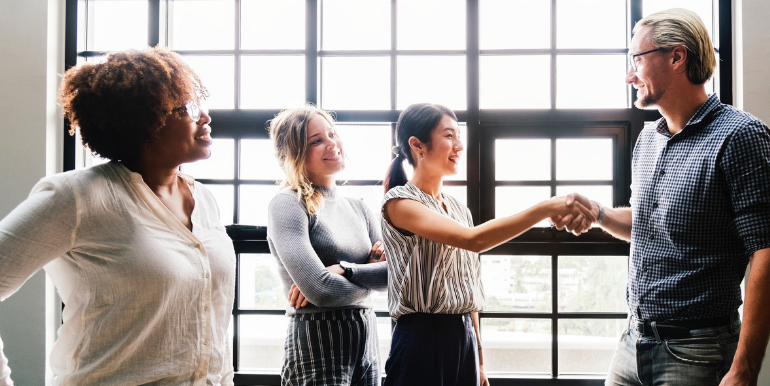 Attracting and retaining top talent by playing to top hiring trends can help you grow stronger teams that will help you effectively achieve your company goals for the year. Here are a few predictions of the top hiring trends companies should not ignore in 2019. A job for today’s candidates is more than just work in return for a paycheck. Beyond the common benefits of health insurance and retirement savings, candidates want to work for companies that value their wellness along with their output. Focusing on wellness could take on different forms. Being more mindful of the benefits of maintaining work-life balance may mean candidates would prefer additional vacation days in lieu of higher salary. Others may simply request the flexibility to work from home or remotely when they need it. A growing trend among candidates is a request for personal development, such as certifications, mentorships, and a detailed growth trajectory prior to accepting a position. Employees want to be able to show growth in a position outside of the standard metrics of sales numbers or projects completed. Employers can additionally benefit from this growth by cultivating more valuable employees while utilizing the skills for which they were primarily hired. This can pay dividends in the future, as a company can grow their teams from within instead of vetting and hiring external candidates, which can be a time-consuming and expensive proposition. Dovetailing with the benefits of personal development, employee retention is a key focus for many companies this year. Matching benefits and pay with employees already in-house keeps positions filled and the workflow from being interrupted. Additionally, focusing on retention allows companies to chart growth from within, which tends to be less expensive than hiring external candidates who also need more time to learn the ins-and-outs of a company and their culture. Sparks Group, one of the nation’s leading staffing agencies, is at the forefront of this candidate-driven market, with deep pools of thoroughly vetted candidates across a number of fields, including accounting and finance, creative, information technology, and office /administrative. Connect with a staffing and recruiting expert to get started with your staffing, recruiting and talent management needs.